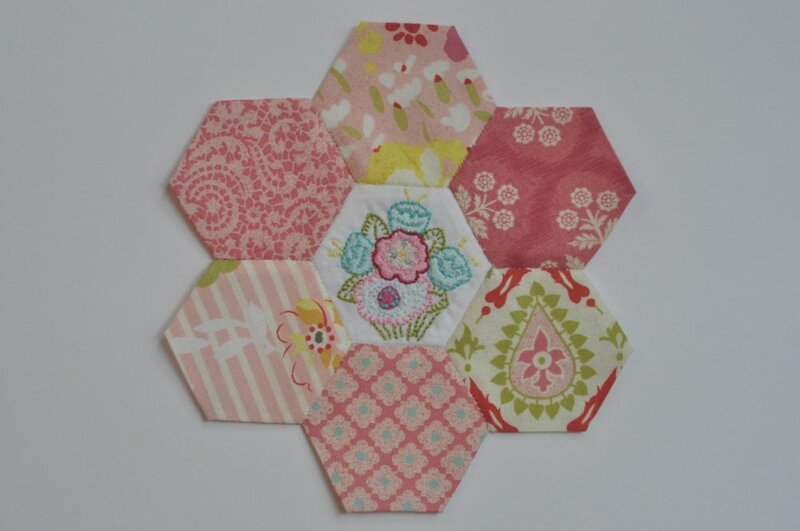 "I hope you enjoy this little project and will make some hexagons and sew them on to different projects. Just pack a little bag of prepared hexagons with a needle, thread and your pre-traced embroidery hexagon and it will be fun to work on where ever you are on the go to. "I think they would be cute added to a pocket on the front of a bag, an apron pocket or even the bib of an apron, or on a dish towel to dress it up. Another idea is make a little mug rug, a small wall hanging, even on the bodice of a little girl's dress. 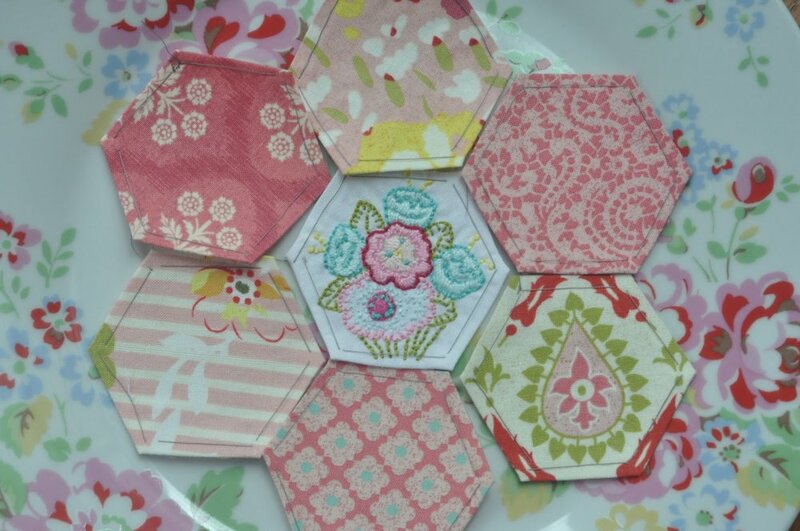 I would love to make a whole quilt out of hexagons!" In her article you will find a link to her pattern for the embroidery design, and be sure to check out the website where you will find many wonderful patterns and projects, by Jennie and Clara, an amazing mother-daughter team!